On Saturday February 2nd, the UFC returns to Brazil and ESPN+ with their UFC Fight Night Fortaleza event. Former featherweight champion Jose Aldo makes his return to the Octagon on Saturday night, but not in the main event. Instead Aldo will face off against Renato Moicano in the card’s co-main event, due to advice from his coach Andre Pederneiras. 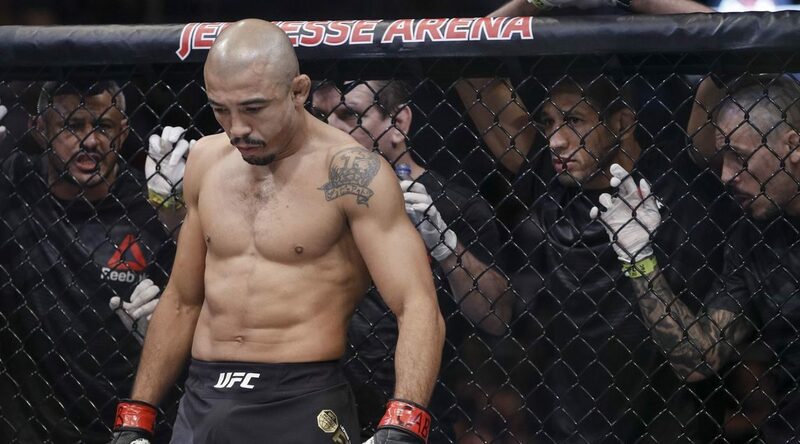 ”It’s tough to see me in the in the co-main event,” Aldo said. Pederneiras told reporters that he has no issue with Aldo fighting a five-round fight, but only if there was a title shot on the other side of it. “Since there’s no possibility that Aldo fights for the belt,” Aldo’s trianer explained. “I explained him everything and he agreed. If (Brian) Ortega had won (against Max Holloway), this fight could be five rounds to elevate him (for a title shot), but even if Aldo accepted a five-round fight now and knocks [Moicano] out in 30 seconds, his next one won’t be for the title, everybody knows that. Aldo-Moicano acts as the co-main event for UFC Fight Night Fortaleza on February 2nd from Fortaleza Brazil, airing on ESPN+ at 8pm.